August 11, 2016 08:00 ET | Source: Gopher Protocol, Inc.
SAN DIEGO, CA--(Marketwired - Aug 11, 2016) - Gopher Protocol Inc. (OTCQB: GOPH) ("Gopher" and the "Company"), a development-stage Company which specializes in the development of real-time, heuristic-based mobile technologies, and its partner, Guardian Patch LLC, announced today that they have completed the testing phase for the design and construction of the Guardian Patch "GOPHERINSIGHT™" circuit prototype device. The test results of the GOPHERINSIGHT™ technology proved range coverage of about 30 square miles without material infrastructure in place. The GOPHERINSIGHT™ prototypes are being shipped to the Company's offices in San Diego for further testing within a larger and more densely populated urban area. Product lifecycle management is the process of managing the entire lifecycle of a product from inception, through engineering design and manufacture, to service and disposal of manufactured products. The lifecycle of a product will generally include: Phase 1: Conceive - imagine, specify, plan, innovate; Phase 2: Design - describe, define, develop, test, analyze and validate; Phase 3: Realize - manufacture, make, build, procure, produce, sell and deliver; and Phase 4: Service - use, operate, maintain, support, sustain, phase-out, retire, recycle and disposal. Applying the above principles, the Guardian Patch is currently in Phase 2, where the detailed design and development of the product's form begins, progressing to prototype testing, through pilot release to full product launch. This step covers many engineering disciplines, including, mechanical, electrical, electronic, software (embedded, server, mobile) and domain-specific, such as communication protocol design, along with the actual creation of the product including the analysis of the components, product assembly and packaging. The Guardian Patch prototype unit contains the Company's GOPHERINSIGHT™ integrated circuit technology. The Guardian Patch prototype consists of mobile units and base units. The mobile unit's real-time position is shown on the mobile app. 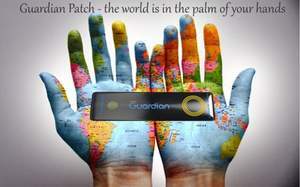 The system provides an accurate location and progress presentation of the Guardian Patch mobile unit via the mobile map. The prototype system is currently reporting about the mobile unit's location every few seconds in order to test a real-time positioning system. The web-based program may in the future provide statistical information about the mobile units, including, but not limited to, travel distance, cities visited, travel time and more. This data will be used in the future to enhance customers' vital statistics for personal purposes. In addition, other electrical factors are measured and studied, such as electrical power consumption, transmission intervals, terrain and weather effects and more. In parallel, the Company is constantly enhancing and improving the system's software to handle large amount of mobile units and their coverage. Special attention is also given to human engineering of user friendly UI (User Interface) of the mobile application software and the web-based control program. Additionally, a robust database management system is being designed in order to manage large numbers of mobile units efficiently.